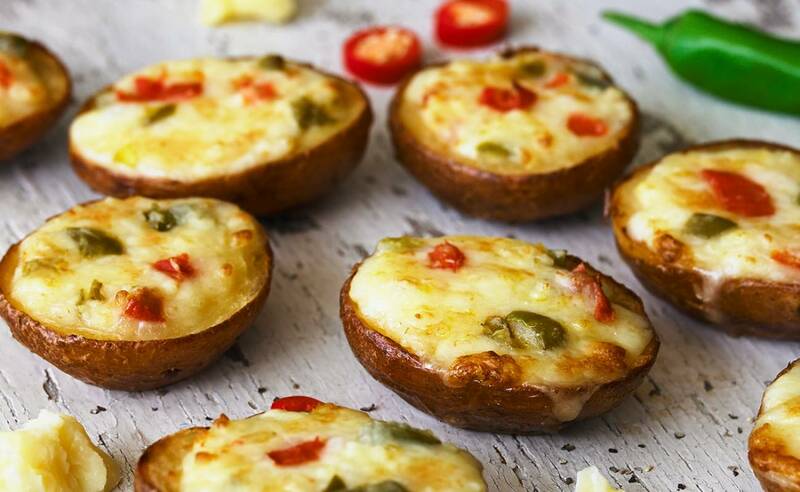 Gloriously golden potato skins, brimming with Monterey Jack and melty cheddar, with the splendidly spicy zing of jalapeño peppers. These make a delicious starter and add a spicy kick to a sharing platter. 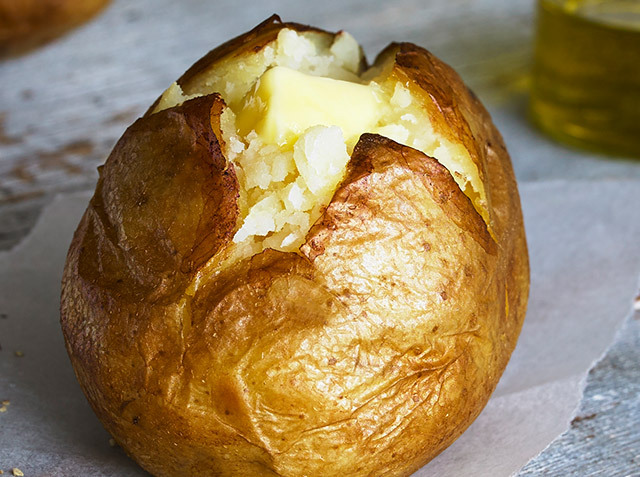 British Potato (71%), British Monterey Jack Cheese (Milk) (9%), British Cheddar Cheese (Milk) (8%), Water, Jalapeno Peppers (5%), White Pepper.